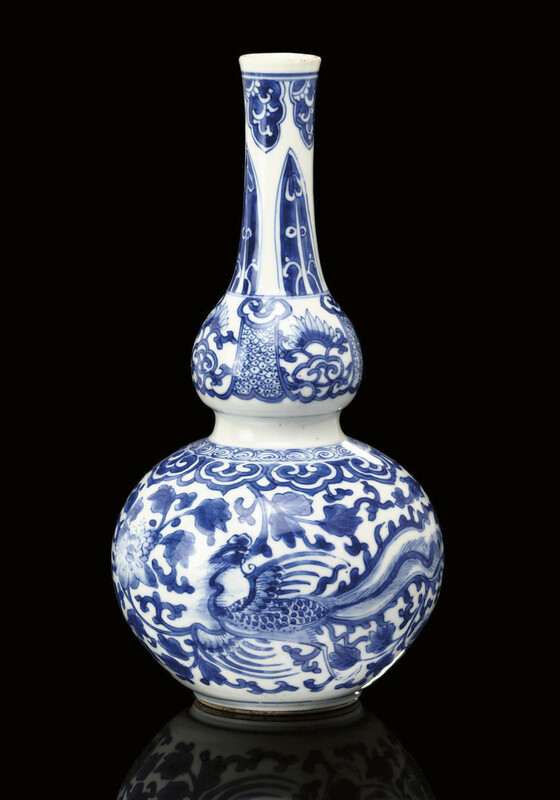 the boulbous body painted with twin pheonix amongst stylised lotus and peony flowers, the long slender neck with upright petal motifs pointing towards the slightly flared rim -- 9¼in. (23.5cm.) high, fitted box.